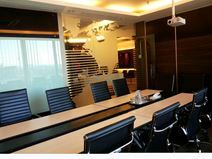 Equipped with the latest technology this business centres offers more than 20 office suites, lounge bar and two meeting rooms in the golden triangle of Surabaya"s central business district area with excellent access to public transportation services. Strategically located at Surabaya"s golden triangle area this iconic building provides fantastic access to local amenities and Tunjungan Plaza. Available are a range of fully furnished office suites with the latest technology as well as two convention halls that can accommodate up to 100 people making it the ideal location for MICE events. 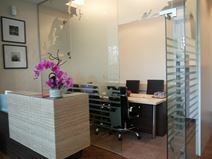 This business centre is located in a 20-stroey office building on the prestigious Jalan Pemuda boulevard, in the heart of the central business district. The centre offers great views and is surrounded by a selection of hotels, restaurants and entertainment venues.